The world-famous rock festival has announced 43 new acts to 2019’s line up, including Halestorm, FEVER 333, Beartooth and Skid Row. 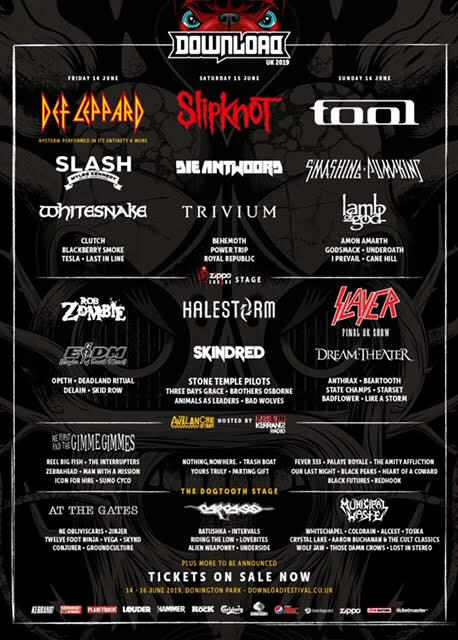 The new additions join headliners Slipknot, Def Leppard and Tool. Alongside this announcement, Kerrang! have revealed that they will be launching a search for an opener for their Avalanche Stage. Tickets for the festival are available to buy here. See below for the full list of acts announced today.